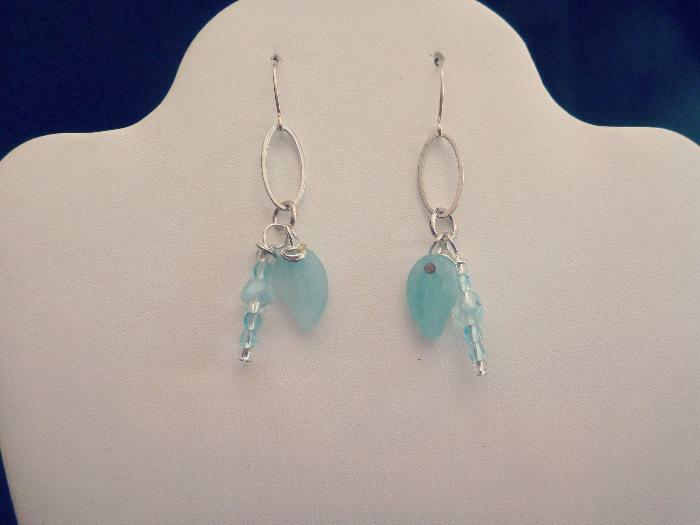 These beautiful aqua beaded earrings were handmade with love by our very own Kelly R. All proceeded from this sell will go toward our non-profit Art for the HeArt and Soul to help others heal through art. These are sterling silver with aqua stones, aqua beads and clear beads. If you have any questions please let me know.